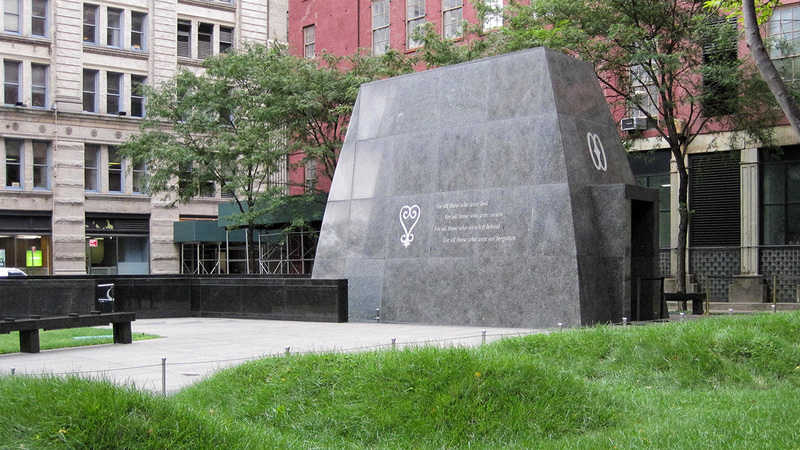 Located in Lower Manhattan, this monument memorializes an estimated 20,000 free and enslaved Africans who were buried on the 6.6-acre plot from the 1690s until 1794. 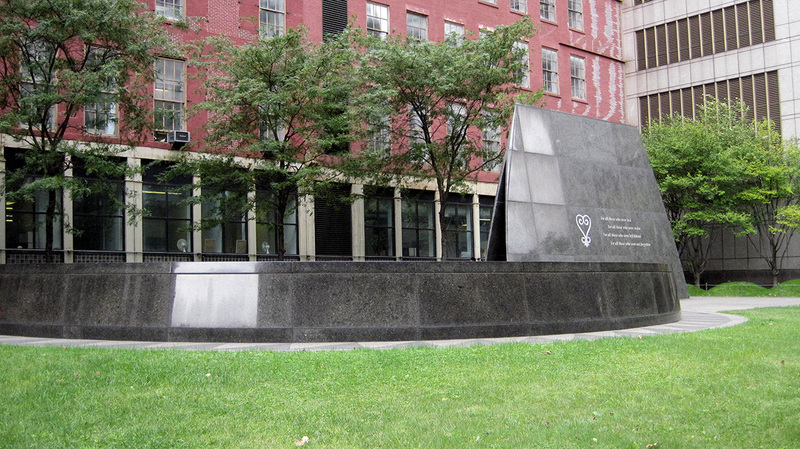 The "Negroes Burying Ground" was rediscovered due to the construction of a Federal Office Building in 1991. An archeaological excavation followed after rediscovery. In 2003, the skeletal remains of 419 enslaved and free Africans were reinterred within the Burial Ground. New York's African population was restricted from burial in Trinity Church. The City allowed New York's African population to bury the deceased beyond the city commons in a area of land considered desolate and unappropriated. 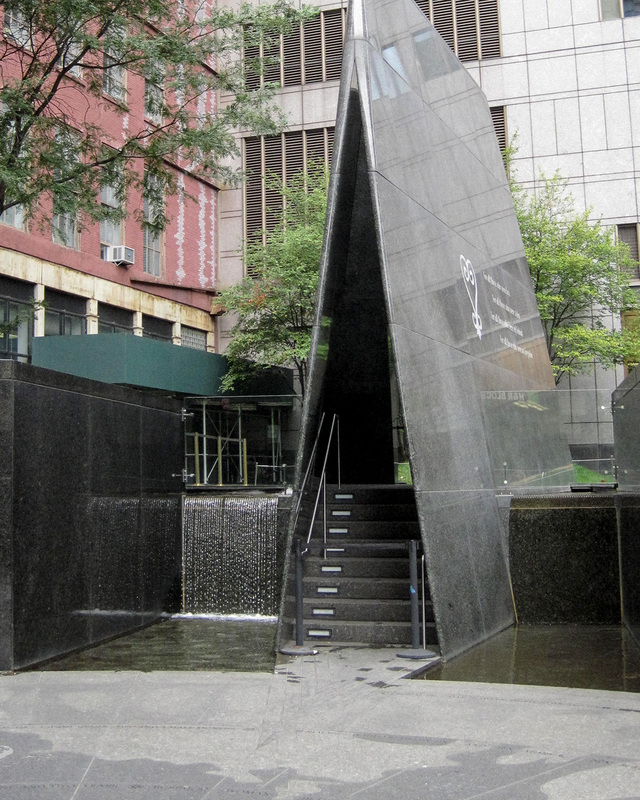 Later identified as the African Burial Ground, the site became the most significant African-administered institution in New York City. 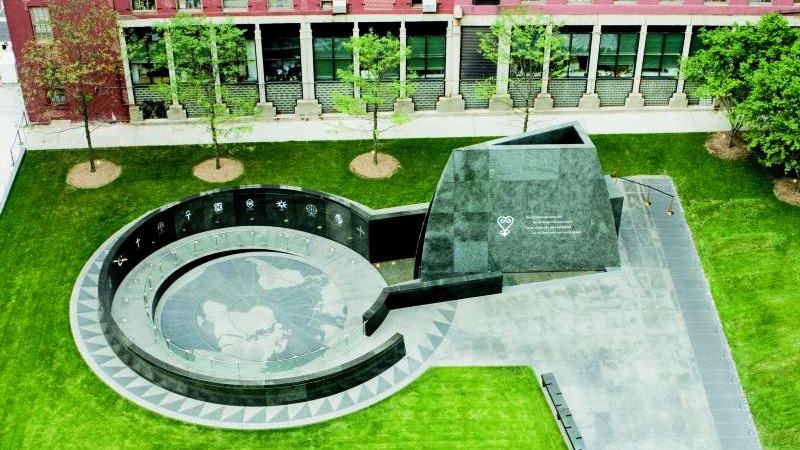 It honored African burial traditions amidst harsh legal regulation until its closure in 1794. As development pressures began to overtake Lower Manhattan during the nineteenth century, the burial ground was covered and forgotten until its rediscovery. 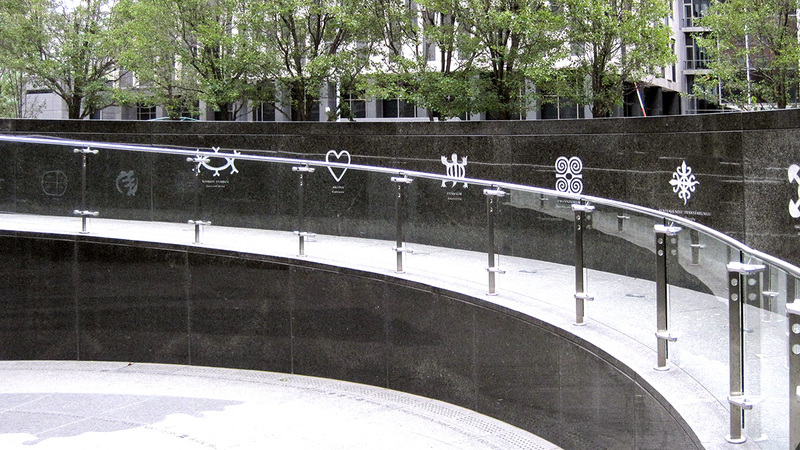 A memorial designed by Rodney Léon, AARRIS Architects, and Elizabeth Kennedy Landscape Architects was opened in 2007. Oriented to true north and east, the monument is centrally-located with three major elements – the Ancestral Chamber, Circle of the Diaspora, and sunken Libation Court. On the north, native shadblow trees, significant as an early food source, frame the view of the monument from the Ted Weiss Federal Courthouse Building. Reminiscent of the interments, seven symbolic earthen mounds housing the 419 skeletal remains were created in front of the shadblow trees. Honey locust trees were introduced as a backdrop, while the landscape was subtly laid out to maximize site interpretation. In 1993, the site was designated a National Historic Landmark and listed on the National Register of Historic Places. 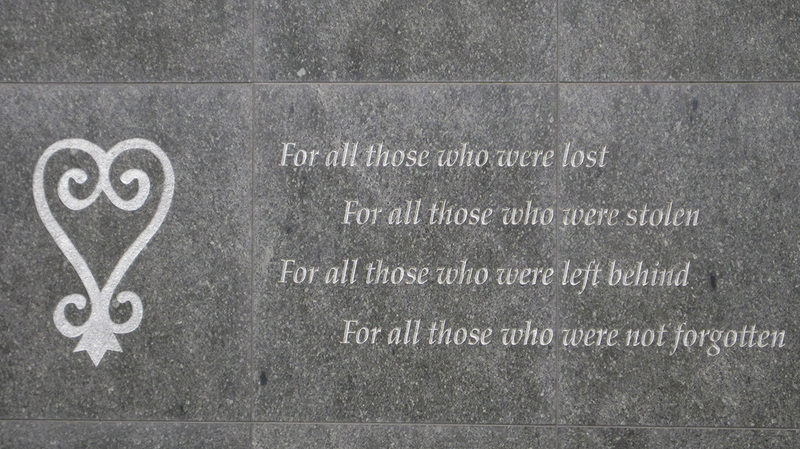 The memorial was proclaimed a National Monument in 2006.